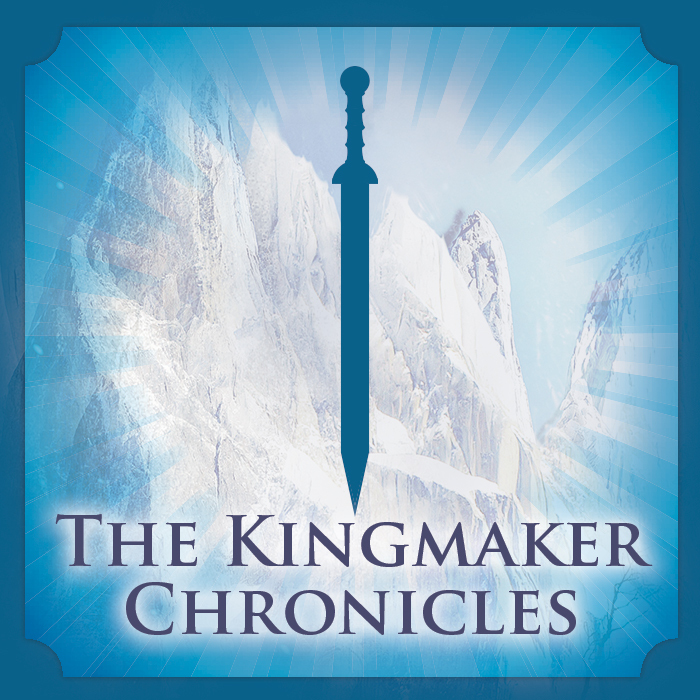 Catalia Fisa, the heroine of the Kingmaker Chronicles, is no stranger to adversity. In fact, it’s been the defining theme of her life. From betrayal, to loss, to pain, to fear, it’s fair to say that she’s been knocked down—hard and a lot. What makes Cat, or anyone who goes through hardship, a hero and a survivor is that she gets back up again. It may take time, nearly impossible effort, and completely redefined life strategies, but it’s not a question of if, it’s a question of when, and how. Everyone defines courage at least somewhat differently, with nuances that come from their own trials, successes, failures, and life experiences. For me, courage is often about not giving up and making sure I stay true to my own moral compass. In Breath of Fire, the Cat we see coming out of her shell and starting to take responsibility for her people and their future is a Cat who is beginning to understand a more layered meaning of bravery. Our heroine already has the type of courage it takes to fight monsters and stand up for herself. 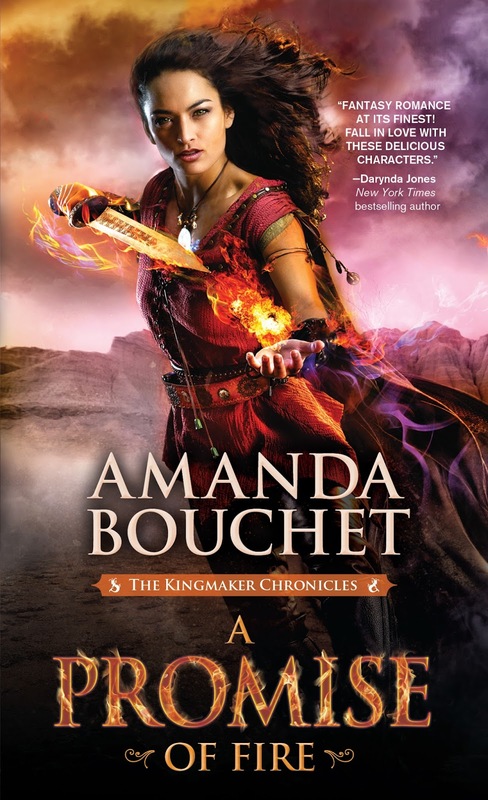 What she finds over the course of the trilogy is the courage to make the decisions she knows are right, even if they’re the hardest choices to make, and lead down the most difficult paths. For Cat, moving forward is a choice, just like standing still or moving back. She chooses to fight for a better world, despite her fears and the inherent danger, and without any guarantee of success. There is only hope, and a true effort to achieve meaningful goals. In the Kingmaker Chronicles, Cat faces mythological monsters, but she also has to deal with fighting her own inner beasts, just like we all must. 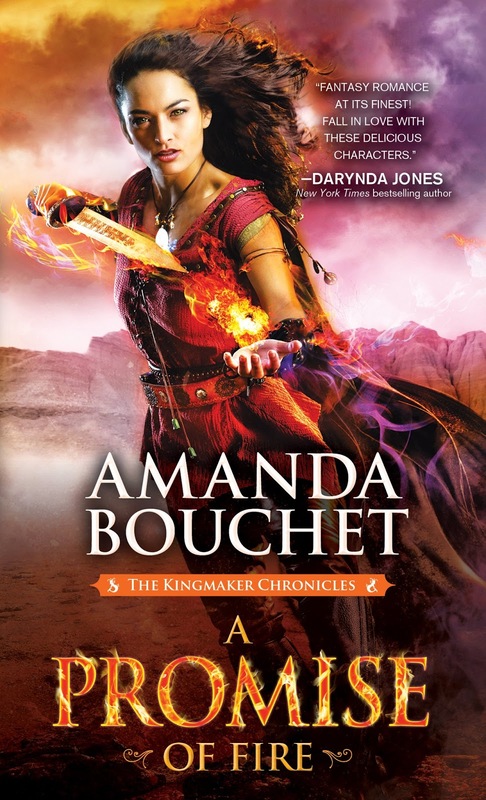 In writing this feisty, flawed heroine, I came to understand that for me, courage is above all about rising up, rising again, and rising always, even if it’s difficult beyond measure, and even if the first try doesn’t always work. 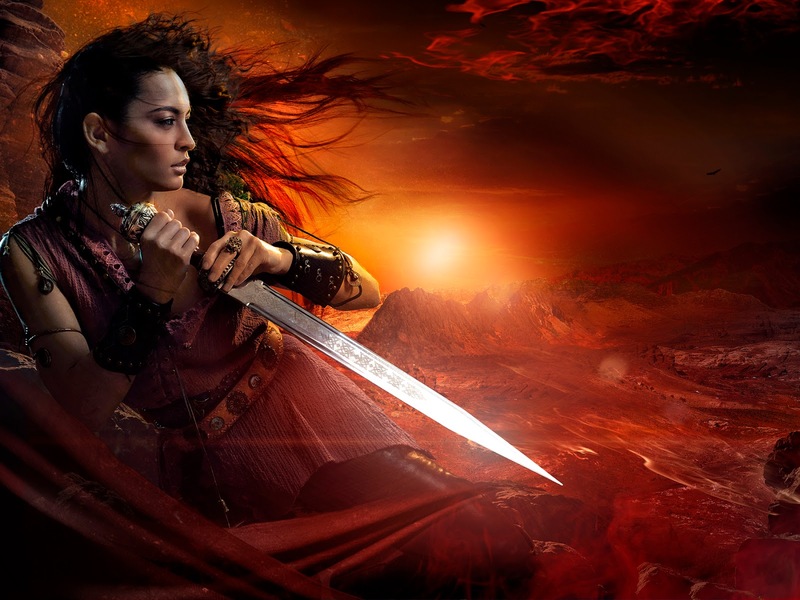 What Makes A Heroic Heroine? 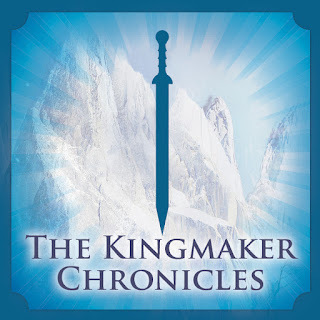 I’m thrilled that readers of The Kingmaker Chronicles have taken to Cat and enjoy following her adventures in both love and battle. With the stories told from Cat’s perspective, it’s easy to get inside her head and really start to understand what makes her tick—her humor and fierceness, her fears and hopes, her hard edges and vulnerable thoughts. If there’s one thing that Cat will never admit to, however—and especially not to herself—it’s to being a hero. And why not? She’s a person of legendary proportions with magic and abilities beyond compare. She’s an accomplished warrior, with strength and courage, and her achievements and skills are already spreading far and wide. But a hero described like this seems almost one-dimensional and too perfect to be true—and would probably make for pretty boring reading in the end. I like to think that Cat’s doubts and fears balance her strengths, and that the fact that she’s not always sure she’ll win, or even live, but she tries her best and does what she needs to anyway, make her heroic and not just a hero. So what makes a heroic heroine? I’m sure everyone would have their own thoughts on this, but here are mine. 1. Loyalty. Above all, loyalty is the key. Without it, what does the hero or heroine have to fight for? You choose your cause and you choose your people and then you fight with everything you have to keep them safe and happy. Anything else is a half-assed sham and when a Dragon is breathing down your neck, those without loyalty turn tail and run because their own hides are more important than yours. The hero sticks it out, no matter the cost. 2. Selflessness. In many ways, this goes hand in hand with loyalty. The heroic heroine puts others before herself, and she does it without thought, sometimes recklessly, maybe stupidly, but never with reflection or weighing the pros and cons. There’s never a question of who to put first. It just is. 3. Courage. Courage is what separates the heroes from the not. And courage can come in different forms. It might be courage in the face of terrifying danger. It might be courage to keep going when confronted with pain or loss. It might be the courage to fight for what you want or believe is right. It might even be the courage to tell someone you’re close to that you think they’re wrong. Above all, it’s standing up instead of backing down. 4. A little bit of crazy. In Cat’s case, anyway, a little bit of crazy goes a long way. It’s what makes it possible to throw caution and self-preservation to the wind and jump in front of the monster herself—and always first. But maybe heroes need that wild and passionate edge that makes it possible for them to accomplish the great deeds that most people can only dream of (and probably run from). 5. Humor. Maybe this goes with the crazy, but sometimes, when things look really grim, you’ve just got to make a joke, or else you’ll probably cry. So many people use humor as a deflector. 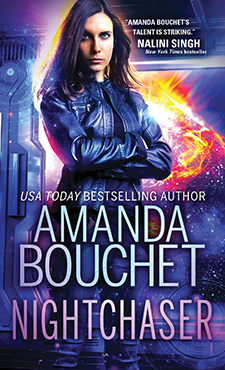 The heroic heroine is no different—she is, after all, human, just like us. And isn’t it better to laugh in the face of adversity than to panic or show your true fear? 6. Fighting skills. Ah. The obvious one. But heroic fighting can come in many forms. In Cat’s case, it’s usually with blades, magic, brute force, and a lot of heart. But there are heroes in any world, real or fictional, and they fight with an arsenal that can include anything from words and ideas to selfless devotion to others to the more obvious deeds and swords and so much more. 7. Hope. And herein lies, in my opinion, the glue that binds all of the above. Hope is essential to any hero. It’s believing you at least have a fighting chance. It’s believing there’s something better. It’s believing that how you act and what you do can have a positive impact on other people. At the beginning of our story, Cat was short on hope. Now we’re two thirds into her tale, hope is alive in her, and she’s sharing it with everyone else. And what’s more heroic for our heroine than being a light for her people to follow in the dark? 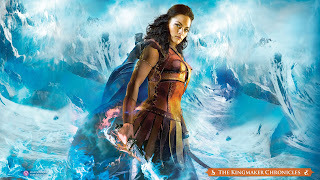 Readers of The Kingmaker Chronicles know our heroine, Catalia Fisa, pretty well by now. We’ve been in her head for about 850 pages, after all! We get her thoughts along with her actions—and plenty of snark and sassy sarcasm to boot. But what about the men of Beta Team? Our story never shifts into any point of view other than Cat’s, so my challenge as a writer is to show readers what Griffin and his faithful warriors are thinking and feeling by relating only what Cat sees and perceives. I thought it might be fun to give you a little more insight into the members of Cat’s loyal group. Who are these men underneath the surface? What do they not show Cat, or only slowly open up about? To dive deeper into the men of Beta Team, I created these quick character descriptions that give a little insider information on their personalities—and maybe even some hints about the future. I hope you enjoy! Griffin: Of course, we know Griffin the best. He’s open and honest with Cat, wears his heart on his sleeve and in his eyes, and the moment he saw her, his entire world focused on Cat. But Griffin doesn’t just become an extension of the woman he loves, although Cat’s powerful personality could probably make that happen with any partner other than one who is also so thoroughly Alpha. What makes Griffin unique is that he stands up for what he believes, even if that means taking Cat to task, and he boosts her toward greatness rather than trying to shine himself. Along with the tall, dark, and handsome trifecta of total swoonworthiness, Griffin’s loyalty, maturity, and selflessness make him the ideal partner for Cat. Carver: Griffin’s brother Carver is a lean, quick, sinewy swordsman without match. Family comes first for him, and that means being Griffin’s right-hand man instead of branching out on his own. He makes jokes at the dinner table to keep everyone in good spirits and protects his sisters at all costs. In fact, he’s even more overprotective than Griffin when it comes to the women in his life, which can make for some awkward tension with his younger sisters. But under the flirty, fun exterior Carver shows us at first, there’s something brewing, something destructive to his loyal heart. When past betrayals come to light, Carver is going to have to show us the kind of man he really is: the kind who folds, or the kind who fights. Flynn: Flynn is the quintessential good guy. He’ll stand up for the underdog; he’ll put his friends first; and he’ll fight for the people he loves and for what he thinks is right. But underneath his auburn-haired good looks, easy manner, even-keeled nature, and warrior’s brawn, we slowly discover a man who is actually very emotionally closed off. When it comes to the woman in his life—or rather not really in his life—he can’t seem to open himself up enough to understand his own feelings, let alone hers. But as we know, still waters run deep. Flynn feels more powerfully than even he realizes, which means there’s a flood in the making for our faithful member of Beta Team. Kato: With his sunny nature, Adonis-like good looks, and passionate loyalty to his friends, and especially to Cat, it’s impossible not to love Kato. While he could clearly have any lady he wants (and isn’t without experience in that domain), as Cat and Griffin’s mission moves forward, Kato’s only focus is on helping his friends. 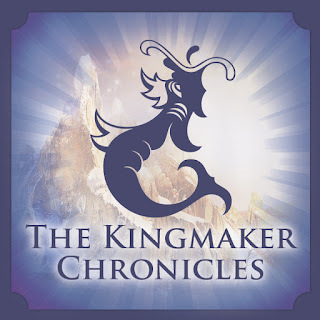 The sibling-like affection and loyalty he and Cat develop is a defining relationship for them both—and the strongest bond in The Kingmaker Chronicles outside of Cat and Griffin’s love. Kato proves himself to be just what our heroine needs when she gets lost in the dark. Because sometimes it’s not the touch of a lover that keeps a person from falling apart, it’s the simple reassurance of a true friend. 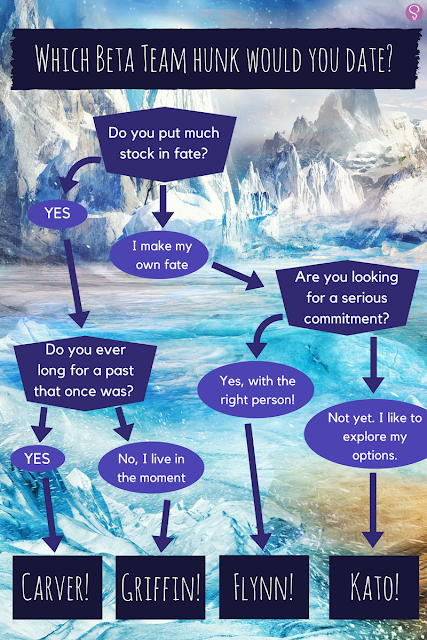 Here's a fun flow chart to help you choose your own Beta Team guy! Enjoy! It seems like I should have gotten my blog up and running ages ago, but somehow between writing and mothering and deadlines and life, blogging always got pushed to the end of the list. I thought I would take this opportunity to tell you about some of the writing conferences I'm going to this year in the hopes that maybe I'll see you there! I'll be at the RT Booklovers Convention 2017 in Atlanta from May 2-7, and it promises to be a blast. 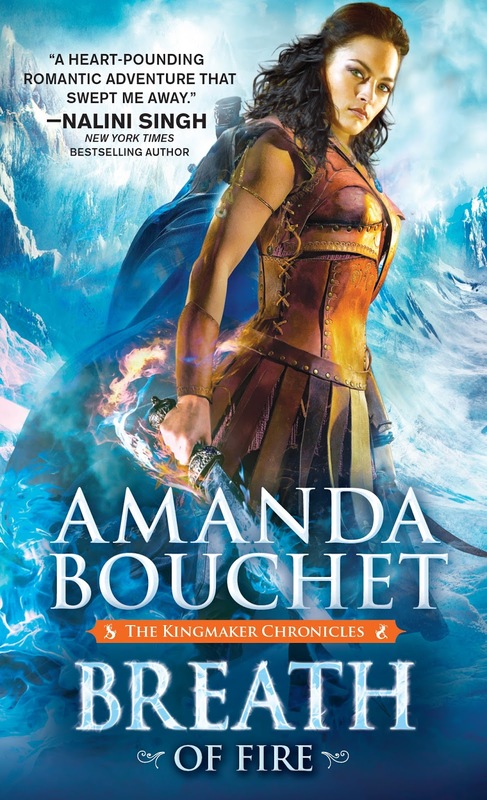 There will be parties, gatherings, events, and a GIANT book signing where I will be signing copies of A PROMISE OF FIRE and BREATH OF FIRE for the first time! 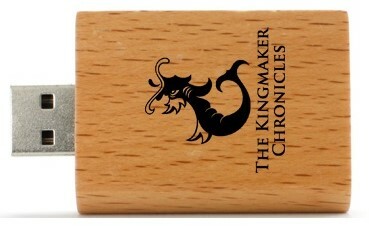 I'm hoping that readers will come find me at the signing, and that I won't end up all alone at my table with a big stack of books :) To encourage you, I'm planning on having some fun swag like bookmarks and these cool "book" design KINGMAKER CHRONICLES flash drives generously provided by USB Memory Direct (https://www.usbmemorydirect.com/). This will be my first RT Booklovers Convention, although I've been dreaming about going for years. This is a huge gathering for authors and readers alike, so if you're tempted at all, I'd love to see you there! This summer, I'll also be attending the Romance Writers of America national conference in Orlando, Florida, from July 26-29. I'll be signing books there, too, and I'm looking forward to seeing anyone who might be able to join in the fun!